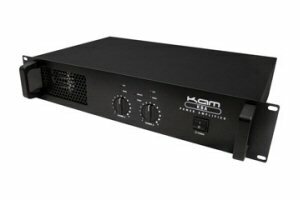 Kam KBA10 PA Amplifier 360w rms. The KBA series of amplifiers from Kam offer good value for money and get the job done. Based on a no frills design these amplifiers are 19 inch rackmountable in a 2U black metal case.